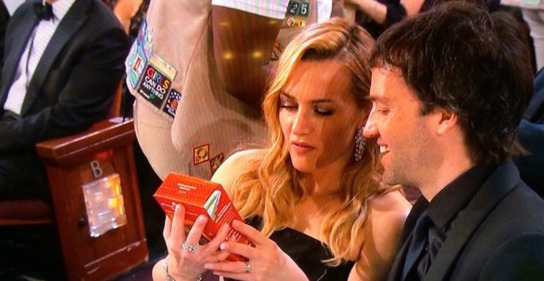 The Girl Scout Cookie craze just took over the Oscars! Samoas, Thin Mints, Tagalongs and a couple of famous Girl Scouts might have been some of the biggest hits at the Academy Awards on Sunday. 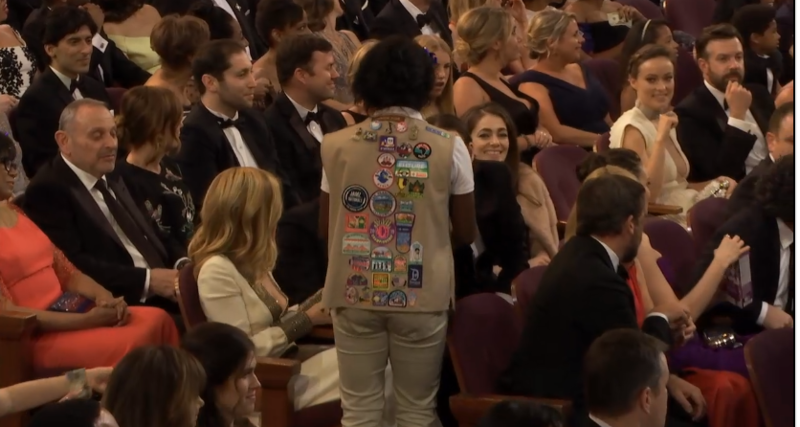 Host Chris Rock lamented to the crowd of famous faces that he hasn't been a very good Girl Scout dad because he's not around much -- so he leaned on the moneymakers of the evening to put his daughter at the top of the cookie-selling pack. Rock brought out his youngest daughter, Zahra, and a couple of her friends, holding boxes of Girl Scout cookies and they began selling cookies to the actors. 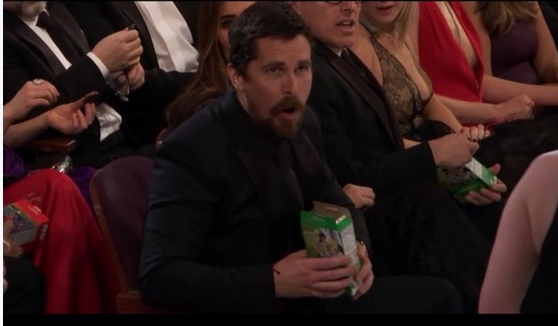 Christian Bale was clearly a fan of the idea -- just look at him stuffing his face with Thin Mints. Kate Winslet and her husband, Ned Rocknroll, also scooped up some cookies. Their choice? Tagalongs. Kate appeared to be inspecting the peanut butter chocolate cookies with her man. Other stars who wanted in on the action? Sam Smith, Julianne Moore, and more big names were holding out their cash for some cookies as Chris Rock yelled, "Get that money." And even after the show went on, stars were still enjoying the tasty treats. Check out Mindy Kaling tucking into some Samosas. UPDATE: Later in the show, Chris Rock revealed that his stunt had raised $65,243. Not bad!